When we arrived back at our support center, we got busy packing. 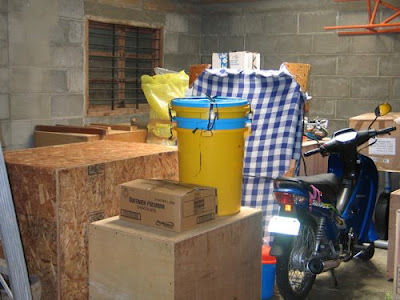 We needed to get everything packed up so that it could be shipped to Manila while we are on furlough. This is a picture of our crates. They should be waiting for us in Manila when we arrive back in the Philippines next December.